Remarkable and stately residence perfectly situated on a large private cul de sac parcel in prestigious Kalithea at The Promontory. Recently renovated with walnut stained solid cherry flooring throughout, Restoration Hardware lighting package, Quartz counter tops, high end appliances and spectacular master bath with marble surround and free standing soaking tub. 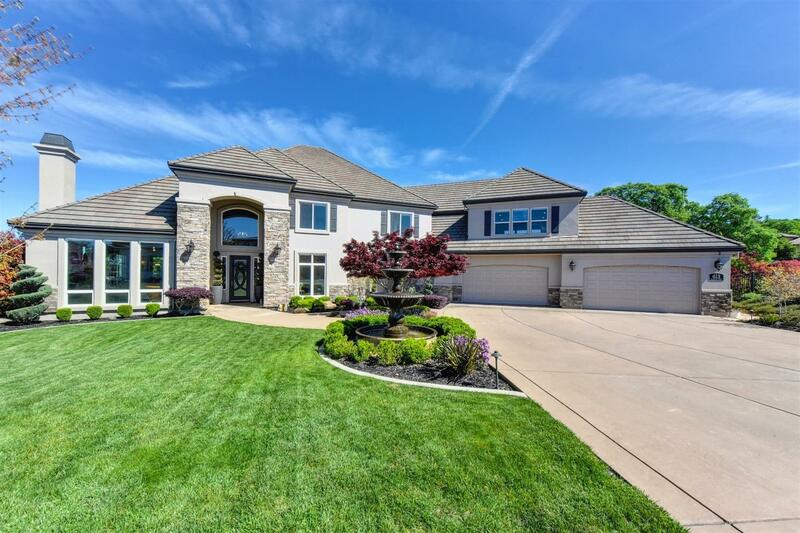 Perfect floor plan with downstairs guest suite & private entrance, formal living room with cast stone fireplace, formal dining room with butler's pantry, and spacious kitchen/family room combination with sunny breakfast nook. Upstairs has master suite, 5 additional bedrooms, and bonus room with wet-bar. Outstanding resort style backyard with views of the Sierra featuring stone wood burning fireplace, sparkling pool & spa, sport court, play area with water fountain, sunken fire pit and garden areas. Attention to detail in every square inch of this remarkable estate.